Mishawaka High School is a public school located in Mishawaka, Indiana. Home of the cavemen. Their school colors are maroon and white. Mishawaka educates around 1,700 students yearly. MHS was first established in 1873, making it one of the oldest schools in Michiana. Mishawaka is a good school for academics, extra-curricular activities, and sports. The cavemen have a well-known wrestling program. Penn High School is a public school located just outside of Mishawaka, Indiana. Making it a long time rival of the Mishawaka cavemen. Penn’s mascot is the kingsman. Their school colors are black, white and gold. PHS educates around 3,400 students yearly, making it the largest high school in the area. The school was established in 1953. Penn is well known for their academics and prestigious sport teams. Marian High School is a private catholic school located in Mishawaka, Indiana. Home of the knights. Their school colors are blue, silver, and white. Marian educates around 700 students yearly. Marian is constantly recognized in high academics and their catholic atmosphere. It was established in 1964. James Whitcomb Riley High School is a public school located on the south side of South Bend, Indiana. The name came from the “Hoosier Poet”, James Whitcomb Riley. Home to the wildcats. The school colors are blue and gold. RHS educates around 1,500 students every year. The school was established in 1924. Washington High School is a public high school located on the west side of South Bend, Indiana. Washington is known for their sports teams and athletes. Their mascot is the panther. Their school colors are green and white. Washington has around 1,000 students enrolled yearly. The school was established in 1938. Concord High School is a public high school located in Elkhart, Indiana. The school was established in 1926. Their mascot is the minutemen and their school colors are green and white. There are roughly 1,500 students educated every year. Concord is known for their fine arts programs. 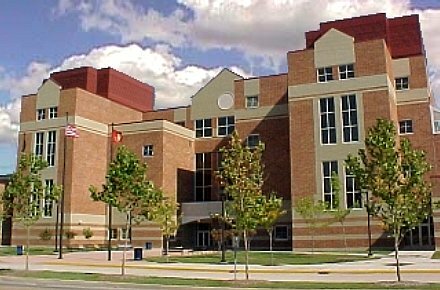 John Adams High School is a public school located in South Bend, Indiana right across the street from Indiana University South Bend. Adam’s mascot is the eagle and their school colors are scarlet, blue and white. Adams has a very successful mock trail team. The school was established in 1940. They have around 2,000 students every year, making it the second largest school in the Michiana area. 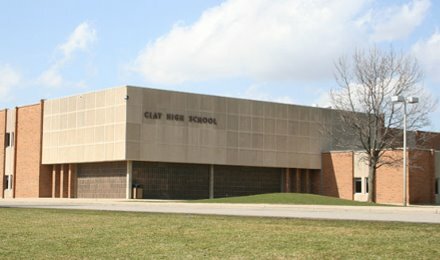 Clay High School is a public high school located in South Bend, Indiana. It was established in 1939. Their mascot are the colonials and their school colors are purple, black, and gold. Clay is known for their fine arts program. Approximately 1,400 students attend Clay every year. Saint Joseph High School is a private catholic high school located in northern South Bend, Indiana near Notre Dame College. It was named a blue ribbon school by the United States. Their mascot are the Indians and their school colors are blue, white, and black. The school was established in 1953. There are around 900 students enrolled. Elkhart Memorial High School is a public high school located in Elkhart, Indiana. Home of the crimson chargers. Their school colors are crimson red and gold. Elkhart Memorial was established in 1972 when Elkhart High School was split into Elkhart Memorial and Elkhart Central. There are about 1,400 students educated yearly at this school.